DYNAMITE BACK WITH A BANG TO SUPPORT CANAL PAIRS 2019! Canal Pairs tickets kicked off last week and we are delighted to see a good chunk of ticket sales in these opening days. To bolster the contest even further we’re also delighted to announce that bait extraordinaires Dynamite Baits will renew their sponsorship for 2019. Dynamite Baits back booming AT/CRT Canal Pairs The Angling Trust are delighted to announce a huge boost from bait manufacturing giants Dynamite Baits, who will sponsor the increasingly popular AT & CRT Canal Pairs in 2018. In recent years the contest has gone from strength to strength and now hosts 16 multi-national qualifiers and an estimate prize pool in excess of £8000. To apply for Canal Pairs tickets, you will need to book on via the Events Booking Site at: https://www.anglingtrustevents.net. Tickets are available to book from Friday 4th January 2019 from midday. Closing dates for purchasing tickets will be the Wednesday prior to each qualifier at 3:30pm. Please check the individual events on the booking site for confirmation of this. Please be aware that pegs are limited to 50 pairs per qualifier, so entries are on a first-come, first-served basis. There will be no reserve lists for 2019. The AT & CRT Canal Pairs Championship is open to both members & non-members of the Angling Trust. However, all participants in the final must be either a member of the Angling Trust or a Friend of the Canal & River Trust. You can join the Angling Trust as a member by telephoning the Membership Office on 0343 5077 006 (Option 1). AT members can log in to the booking site with their membership number & password. This password can be easily reset via the site if needed. In order to book tickets, you will need to provide an email address when entering each entrant’s details. The tickets will be emailed to the email address/es provided and you must print these tickets and take both of them with you on the day of the match. Tickets are non-transferable between pairs or qualifiers. The Canal Pairs Championship Final will take place on Saturday 19 October on the Shropshire Union Canal – one section at Little Onn and another at Norbury Junction. The Angling Trust and Canal and River Trust Canal Pairs Final took place in unseasonably warm and bright conditions across the Staffs and Worcester Canal and the Trent and Mersey Canal. There was talk of several hot areas at the draw and none more so was the Marina in A section, where previous match winning weights of bream had shown and once more it played a crucial part! David Gough made the most of this Marina mouth draw in A section, just outside the crossover from the Stafford Boat Club and recorded the highest weight of the match with 7kg 370grams. David caught three quality bream along with around 3kg of silvers, which consisted of perch, roach and few skimmers. Most of David’s bonus fish came across the canal at 13m meters. However, one good draw was never going to be enough and it was his partner Paul Middleton that backed him up superbly on the Trent and Mersey. Paul put together a hard-earned 3.930kg from peg 25 consisting of mainly small roach and perch. Second pair on the day by weight countback were Paul Murrin and Dave McCall, who amassed a tying 14 points, but took the second spot on weight countback with a superior 9kg 190grams. This is no small part was down to cracking performance by Paul Murrin who kept the overall winner honest with 6.020kg from adjacent peg 24, also on the marina mouth. Paul also netted two quality 3lb bream and backed this up with a good net of silvers. Dave McCall did the hard work on B section, where 3.170kg gave him 12th in section and grabbed the pair the second spot. Conversely third pair on the day got most of their points from B section Trent and Mersey, where Pete Edwards amassed an impressive 4.120Kg from peg 26 giving him five section points. Over on Staffs and Worcester, Bob Yeomans had put together a tidy net of silvers, which included some decent perch for his 2.710kg and 9 section points. The Angling Trust would like to thank both their partnering organiser Canal & River Trust Angling and the competitions sponsor Dynamite Baits. A huge thanks to Alan Round and his team from Isaak Walton Angling club for all the preparation and bookings. Finally, and most importantly the biggest thanks to all the organisers and anglers who have fished the heats, we hope to see you again next year! 2019 Qualifier dates will be launched before Christmas, so watch this space for further details! Following qualifiers held across much of the canal network and in Wales, Scotland and Ireland, 56 pairs contested the Angling Trust & Canal and River Trust Pairs Grand Final of this prestigious and unique competition, held on the Erewash canal, Long Eaton on 21st October 2017. The weather forecast was, for once, pretty accurate so whilst the day remained fairly dry there were strong winds throughout with gusts up to 40 mph. Clearly not good for fishing. However, as the results show the anglers coped extremely well and the canal, hosting its first big match for a decade, produced a really good match. Indeed 1.840 kilos was needed to make the top twenty. Individually it was Paul Turner from the West Midlands, arguably the most in-form canal angler around at the moment, who took the honours. Paul drew peg A1 below Sandiacre Lock and made no mistake putting a mixed bag of perch, roach and skimmers on the scales for a total of 6 kilos. Indeed A section provided all the top weights with Lancashire angler Daz Shaw taking second with 3.880 kilos and Jason Evans from Bromsgrove finishing third with 3.250 kilos. Fourth was James Carty with 3.050 just shading Ian Freeborn with 2.950. Of course the Pairs event was the main feature of the day. Stafford anglers David Brown and Robert Lloyd became the 2017 Pairs Champions with a magnificent 105 points out of a possible 112. David scored 50 points in A section whilst Robert scored 55 in B. Runners – up were local angler Tony Barker and his partner Mick Hatchard from Walsall with another great score – 100 points. Third pair were Jason Evans and Mark Robertson from Bromsgrove with 97 points. Two Pairs, individual winner Paul Turner and his brother Neil and Lee Newson and Graham Smith tied for fourth place, but with Paul’s winning weight it was the Turners who secured the final top spot. Further up the canal near Ilkeston 16 youngsters up to the age of 16 contested the AT/CRT Junior Championship. Again they coped pretty well with the sometimes ferocious winds with the top five all recording very respectable weights. Champion was Liam Murphy from Liverpool with a particularly good weight of 1.620 kilos from peg 75. Another angler making the long journey, Billy Kirk, narrowly finished second with 1.490 kilos. Billy from West Sussex drew peg 80. Third spot went to another West Sussex lad, Thomas Clark, who weighed 1.290 kilos at peg 89. Fourth was James Peet with 0.900 kilos. Fifth Billy Pitman with 0.750 and sixth was Kieran Woodward with 0.720. Britain’s biggest canal angling competition, the Canal Pairs Championship, is once again being held along the nation's waterways. 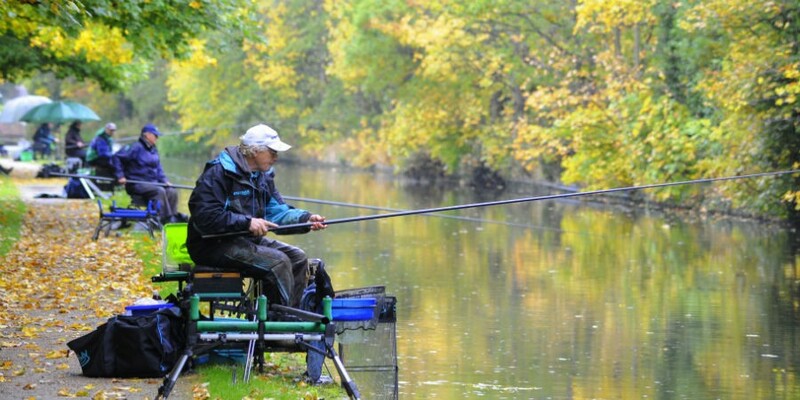 Organised by the Angling Trust and Canal and River Trust in partnership, the Championship’s regional qualifying heats are being held in Wales, Scotland and Ireland as well as 13 heats across England. Once again competitors will score points based on the weight of fish they catch. 1 pair out of every 10 pairs, or part thereof will qualify for the final from each qualifier which, together with the National Junior Canal Championship, will be held on the Erewash Canal on Saturday 21 October 2017. Prize money for the 2017 competition final, which is subject to entry and divided amongst the top four pairs. John Ellis, national fisheries and angling manager for the Canal & River Trust comments: "The aim of the competition is to inspire match anglers to experience the great fishing that can be found on their local canal. The 2016 event was a great success and proved really popular with anglers from across the country and I’m expecting 2017 event to be just as big a success." David Kent, chair of Angling Trust Competitions said: "The 2016 event was our biggest yet and it was great to see club and open anglers from across the country of all ages taking part. Canal fishing is a great branch of the sport and I’m sure this year’s championship will help inspire even more people to get involved and give it a try." A prestigious national competition aimed at attracting a new generation of anglers onto the nation’s historic canals is coming to the East Midlands for the first time this year. The National Junior Canal Championship, organised by us and the Angling Trust, aims to show young anglers how good the nation’s canals can be whilst giving them the chance to show off their skills. The competition is free to enter and open to anyone aged between 10 and 16 inclusive with the winner taking home the top trophy and being crowned national champion. The match is taking place on 21 October on the Erewash Canal at Long Eaton. The youngsters will be able to gain inspiration from some of the best anglers in the country as the National Canal Pairs Championship is also taking place on the canal on the same day. John Ellis, our national fisheries & angling manager said; "As a charity we really want to see more people, especially youngsters, having a go at angling on their local canal and so we’re delighted to welcome the Junior Canal Championships to the East Midlands this year. "The Erewash Canal is great for anglers, particularly youngsters, as it’s easily accessible, low cost and full of fish so where better for them to hone their skills. There’s nothing quite like fishing on your local canal or river for helping you slow down and get in touch with nature. "With some of the country’s best senior anglers also competing on that day, it promises to be a fantastic event." To enter the competition contact Sandra Johnson, Competitions Manager for the Angling Trust on 0115 8224519 or email; sandra.johnson@anglingtrust.net. Entries must be received by Friday 6 October 2017. Kevin Clarke and Dave Edgerley from Sam’s Tackle in Wigan have been crowned ‘Britain’s Best Canal Anglers’ at the recent National Canal Pairs Championship held along the Birmingham & Fazeley Canal in Minworth. The final, which was organised by the Canal & River Trust, the charity that cares for 2,000 miles of waterways in England & Wales, and the Angling Trust was hosted by Dams & Locks Angling Club and saw 51 pairs of the country’s top anglers compete for the title. Tom Clark, from West Sussex managed to catch an impressive 1.2kg of fish and took the title of ‘Britain’s Best Junior Canal Angler’ in the junior section of the competition. John Ellis, national fisheries & angling manager for the Canal & River Trust, said: “This year’s competition has reeled in some bumper catches and has really shown how packed with fish the canals are. David Kent, from the Angling Trust said: “Saturdays Final saw some of the country's best canal anglers battling to win this inaugural Championship. “It was a successful first year in many ways clearly demonstrating just how passionate many anglers are about their canal fishing and also how well the collaboration between the Canal & River Trust and Angling Trust is progressing. The 2016 event will feature additional qualifying heats in Wales, Scotland, Northern and Southern Ireland. The first Canal Championship, a new event aimed at encouraging more people to fish on the nation’s historic canal network, has been declared a great success. The event, which took place on Sunday 14 September at Soudley on the Shropshire Union Canal attracted over 150 anglers from across the country. The match was organised by the Canal & River Trust and Angling Trust, supported by Hodnet Angling Club, as a way of encouraging more people to fish on the nation’s historic canal network. The prestigious new pairs trophy was won by Simon Preece, sponsored by Browning and Simon Mottram, sponsored by Drennan and ABC baits, who together scored 125 points out of a possible 136. Second place went to Kevin Clarke and Dave Edgeley with 118 points and in third place were Paul Andrews and Paul Denson with 117. The top individual catch of the day went to Gary Smith with a catch of 13.6kg. As well as attracting renowned senior anglers the day also included a free junior match open to 12-16 year olds. The match was won by 14 year old Yestyn Sephton with a catch of 2.6kg and Yestyn went home with the top prize of a 14 metre Sensas pole donated jointly by the chairmen of both the Canal & River Trust and Angling Trust. Alongside the matches there were also some fun taster sessions taking place with coaches from the Angling Trust showing budding anglers of the future how to choose the right bait, cast off and reel in their catch. John Ellis, national fisheries & angling manager for the Canal & River Trust said; “The first ever Canal Championship was a great day and hopefully everyone went home having enjoyed a good day’s fishing. “The aim was to show just how good angling on the nation’s beautiful canals can be and I think, alongside our friends at the Angling Trust and Hodnet AC, we achieved that with a fantastic location and some great catches. It was great to see so many young people getting involved and having fun, either through the junior match or the taster sessions.